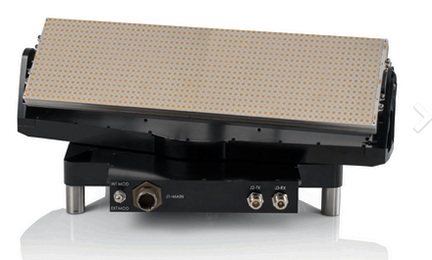 GetSAT's MilliSATL/W Antenna Selected as a Hughes Defense Systems Component for the U.S.C.G. GetSAT, an innovator of lightweight SATCOM terminals for ground, airborne, and maritime applications, has announced that the company's MilliSAT L/W has been selected as the Beyond-Line-Of-Sight (BLOS) SATCOM component for U.S. Coast Guard (USCG) Airborne Communications by Hughes Defense Systems in support of Intelligence, Surveillance and Reconnaissance (ISR), Humanitarian Aid, Search and Rescue (SAR), and Disaster Relief (DR) Missions. In partnership with systems integrator Hughes Networks Systems LLC, GetSAT’s technology was selected from multiple competitors to support mission critical communications link by U.S. Naval Air Systems (NAVAIR). GetSAT’s MilliSAT L/W (lightweight) provides the U.S. Coast Guard with a fully integrated, airborne secure, COTM unit. The company’s micronized communications terminal is based on a patented fully-interlaced InterFLAT panel technology for transmitting and receiving signals on the same panel. Meeting the demanding requirements of full-time usage in harsh environments, this rugged satellite on the move (SOTM) terminal in a super-light compact installation offers significant savings in size, weight, and power usage (SWaP). 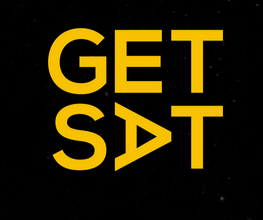 GetSAT's MilliSAT W LW antenna. GetSAT's L/W platforms are micronized, fully integrated, lightweight terminals designed specifically for airborne and UAV platforms. Based on built-in InterFLAT panel technology, L/W terminals are easy to deploy and integrate and are available in various antenna sizes to meet the SWaP and bandwidth requirements of the most demanding aviation platforms. 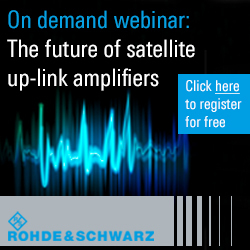 Additionally, the MilliSat L/W platform is available in both Ka- and Ku-Band application. Rick Lober, VP/GM of Hughes Defense Systems, said that the company has worked with GetSAT for more than three years now and have found their COTM terminals to be smaller, lighter, higher performing and well suited for demanding environments, such as the USCG C-27 aircraft. GetSAT CEO, Kfir Benjamin, added that working closely with the firm's partners at Hughes, the company hasd once again proven that GetSAT’s solutions are successful in achieving results in some of the most difficult security operational parameters. GetSAT's platforms meet the BLOS mission needs of the U.S. Coast Guard’s mission critical operations, such as drug interdictions, border control enforcement and search and rescue efforts and the company is honored to support the U.S. Department of Homeland Security’s mission set.